Speedmasters are, besides being linked to the NASA programme, also connected to racing. 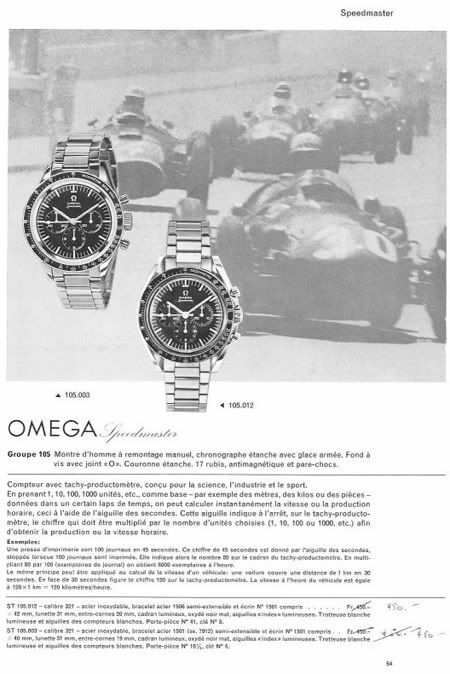 Initially, the Speedmaster was created as the watch for car drivers, as you can see on the picture below (pre-NASA programme). 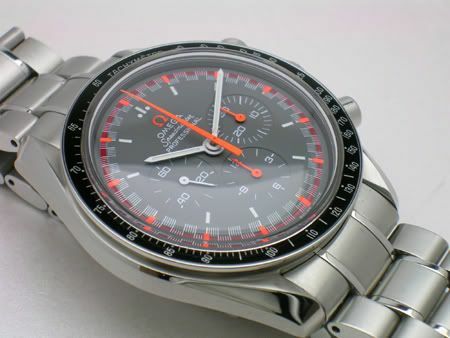 This was the first and last Omega Speedmaster Professional with a racing dial. Later on, as I wrote before, a Speedmaster Mark II was equipped with a racing dial and muchos later on, Omega introduced the Speedmaster Reduced series. These series were focussed on Racing as well. Just recently, when the Omega – Schumacher connection was established, Omega started to create some ‘Racing’ / Schumacher Legend models with caliber 3303 (Broad Arrow caliber). However, non of these are marked as a ‘Professional’ model. In 2004, Omega produced a limited number of 2004 Speedmaster Professional (ref. 3570.40.00) watches with a racing dial. Compared to the original 145.012 with racing dial, the hands are ‘inverted’. The hour and minute hands are orange of the Japanese model, as where the original model’s hour and minute hands are white and the chronograph hand is orange. The same goes for the hands of the chronograph subregisters. 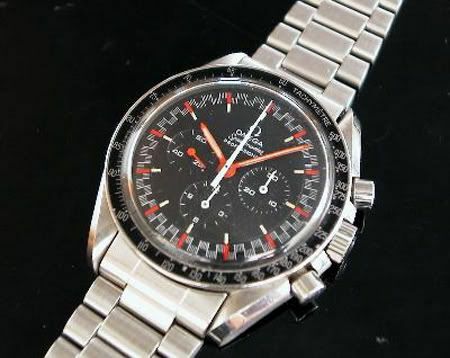 If you are a Speedmaster collector, this piece might be missing in your collection, as I think 2004 pieces are really limited. 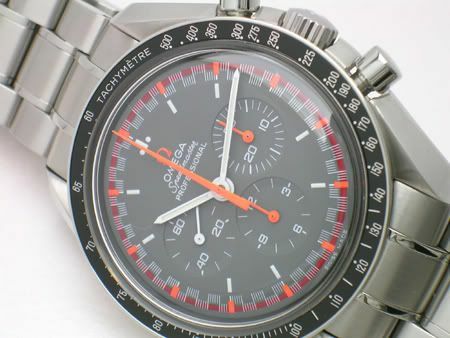 I wonder how many actually left Japan, as Japan is a Speedmaster-collectors country. There is currently one for sale on Chrono24, for approx 3000 euro.